For decades, Memorial Day has been a time for reflection, remembrance and tribute to those who have made the ultimate sacrifice while serving the United States of America. It’s a day to appreciate our freedom and recognize the men and women who died fighting for that freedom. Originally called Decoration Day, Memorial Day was first observed in May 1868 to commemorate lives lost in the Civil War. 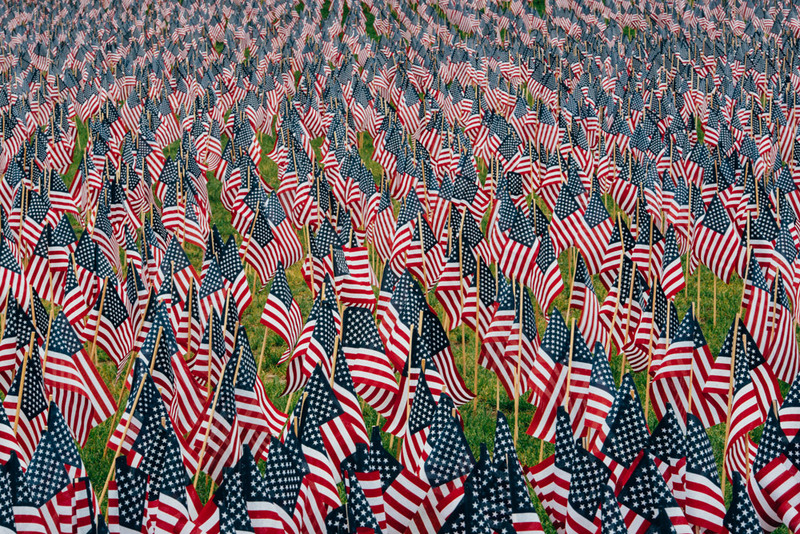 Following World War I, it became a day to honor those who have died in all of America’s wars. It was declared a national holiday in 1971. Memorial Day traditions include visiting cemeteries and decorating soldiers’ graves, as well as displaying the American flag. Scentsy commemorates the day by displaying 100 American flags around the home office campus along Pine Avenue and Eagle Road in Meridian, Idaho. A local Boy Scout troop from Kuna places the flags just before sunrise and removes them at dusk. There are dozens of military veterans currently working at the Scentsy home office. Some of them took the time to share what the day means to them and how they mark the occasion. Josh McNitt, Scentsy Environmental Safety & Health Specialist, has served as a combat medic in the Idaho Army National Guard for “18 years and counting,” including two tours in Iraq providing medical support and personal security. Bill Whiteman, Scentsy Middleware Administrator, served a total of 11 years in the U.S. Marine Corps., including combat in Mogadishu, Somalia. Dan Miller, Scentsy Warehouse Manager, was a member of the U.S. Army Reserves for seven years. Kelly Cantrell, Scentsy Business Systems Analyst, retired as a Major in the U.S. Air Force after more than 21 years of service.